Definition at line 61 of file CPraxis.h. Definition at line 58 of file CPraxis.cpp. Definition at line 64 of file CPraxis.cpp. Definition at line 1591 of file CPraxis.cpp. References C_FLOAT64, C_INT, CPraxis::Q::q0, CPraxis::Q::q1, q_1, CPraxis::Q::qa, CPraxis::Q::qb, CPraxis::Q::qc, CPraxis::Q::qd0, CPraxis::Q::qd1, and CPraxis::Q::v.
Definition at line 1329 of file CPraxis.cpp. References C_FLOAT64, C_INT, dmax, dmin, CPraxis::Global::dmin__, flin_(), CPraxis::Global::fx, global_1, CPraxis::Global::ldt, CPraxis::Global::nf, CPraxis::Global::nl, q_1, TRUE_, and CPraxis::Q::v.
Referenced by praxis_(), and quad_(). Definition at line 800 of file CPraxis.cpp. Definition at line 69 of file CPraxis.cpp. References c__1, c__2, c__3, c__4, c_false, C_FLOAT64, C_INT, c_true, CPraxis::Global::dmin__, FALSE_, CPraxis::Global::fx, CRandom::getRandomCC(), global_1, CPraxis::Global::ldt, maprnt_(), min_(), minfit_(), mpRandom, CPraxis::Global::nf, CPraxis::Global::nl, print_(), CPraxis::Q::q0, CPraxis::Q::q1, q_1, CPraxis::Q::qd0, CPraxis::Q::qf1, quad_(), sort_(), TRUE_, CPraxis::Q::v, and vcprnt_(). Definition at line 1849 of file CPraxis.cpp. References C_FLOAT64, C_INT, CPraxis::Global::fx, global_1, CPraxis::Global::nf, and CPraxis::Global::nl. Definition at line 1717 of file CPraxis.cpp. References c__0, c__2, C_FLOAT64, C_INT, c_true, CPraxis::Global::fx, global_1, min_(), CPraxis::Global::nl, CPraxis::Q::q0, CPraxis::Q::q1, q_1, CPraxis::Q::qa, CPraxis::Q::qb, CPraxis::Q::qc, CPraxis::Q::qd0, CPraxis::Q::qd1, and CPraxis::Q::qf1. Definition at line 83 of file CPraxis.h. Referenced by min_(), praxis_(), print_(), and quad_(). Definition at line 81 of file CPraxis.h. 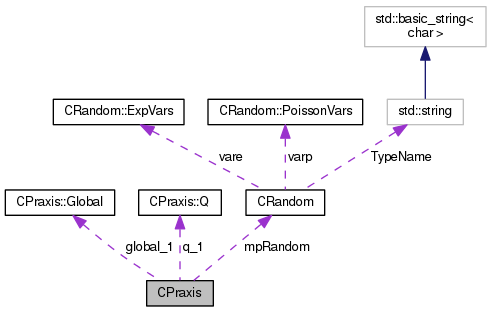 Referenced by CPraxis(), praxis_(), and ~CPraxis(). Definition at line 84 of file CPraxis.h. Referenced by flin_(), min_(), praxis_(), and quad_().